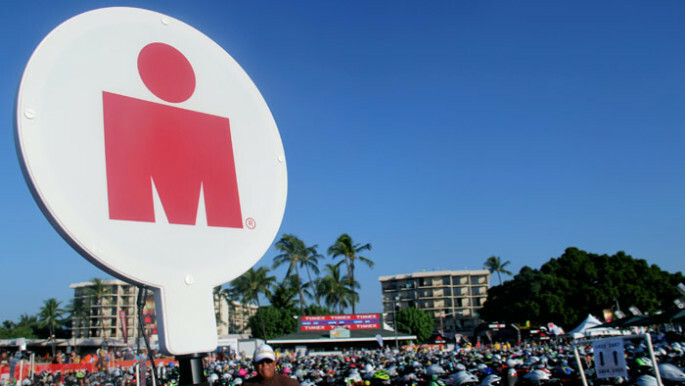 Each year, thousands of athletes make the decision to race their first Ironman. With credit card in hand, they register for their race, which in most instances is a year away. Once the registration is complete, then it’s time to train! Right? To back up a bit, I offer this guidance to help you make the decision to race your first 140.6 in a more thoughtful way. Consider everything from your family, the course, to your work obligations. It’s a difficult decision, but one that can be guided with three main questions – What’s the goal? What’s your schedule? And last, what resources do you have available? I think it is important to begin with the goal in mind. And the very first question you might want to explore is “why”? Why do you want to race this distance? Involve your spouse or significant other as you explore the “why” question. Discuss the fact that you are considering an Ironman with your friends and family – those who know you the best – and listen to their feedback. And depending on your relationship with your boss, discuss with your employer. Look ahead over the next year and make sure you know about any major work initiatives that require your involvement. You will need your employer’s support if you decide to take the plunge! Once you have made the decision that you will race your first Ironman, it’s time to decide on a race. Here’s where I think athletes need to do a little more planning. Do your homework, and consider both your strengths and weaknesses. If you are a weak swimmer, for example, you might want to choose a race with a more civilized time trial swim start like Ironman Louisville or Chattanooga. If you are a strong climber on the bike, then Ironman Canada or Wisconsin might be a good choice. Also consider your training environment. If you decide on Ironman Texas, which is now in April for 2017, then you will likely be doing many of your long rides in cold weather during the winter months and early spring. Not to mention, Ironman Texas always has the potential to be a warm race. And racing a course like Ironman Boulder will mean racing at altitude, so if you live closer to sea-level, that may require some planning around your training. When we talk about schedule, we are considering things like the number of months until your goal race, and how many hours per week will you have to dedicate to training. You will need to be honest with yourself about the number of training hours required, while still finding time for family and work obligations. Since most athletes register for their race nearly a year out, it may be hard to predict your schedule both at home and at work. But being realistic and planning your year out will be a great benefit to you come race day. Your Ironman training year would not be the best time to do house renovations or take on a major work project! The truth is, racing long course triathlon is expensive in more ways than one. The good news is, since you likely signed up for your race 10-12 months in advance, you will have some time to save some money, and do some planning around other resources you will need for your training year. But when we think of resources, we also need to consider anything that might support your training year up to your race. For example, you will definitely need the support and understanding of your family and friends. And having a good training partner throughout the year is probably one of the most valuable resources you can have. Other considerations should be your training environment. This would include regular access to a pool and a safe place to ride up to 5-7 hours. And lastly, I see the flexibility of your week a critical resource, especially 10-12 weeks out from your goal race. This goes back to involving your boss when you are making the decision to race an Ironman, as gaining the support of your employer is important to having some additional flexibility in your workweek. From the moment you register for your big race, until you cross the finish line, there are thousands of opportunities to learn and grow as an athlete. But it can also be a stressful ordeal if you don’t go in with eyes wide open. Being thoughtful as you make your decision, and planning your year out while being realistic about your schedule and resources will make the path to the finish line that much smoother.